Investing.com – The dollar rose to one-and-a-half week highs against a currency basket on Tuesday, as persistent concerns over global trade tensions and stresses in emerging markets underpinned safe haven demand for the greenback. 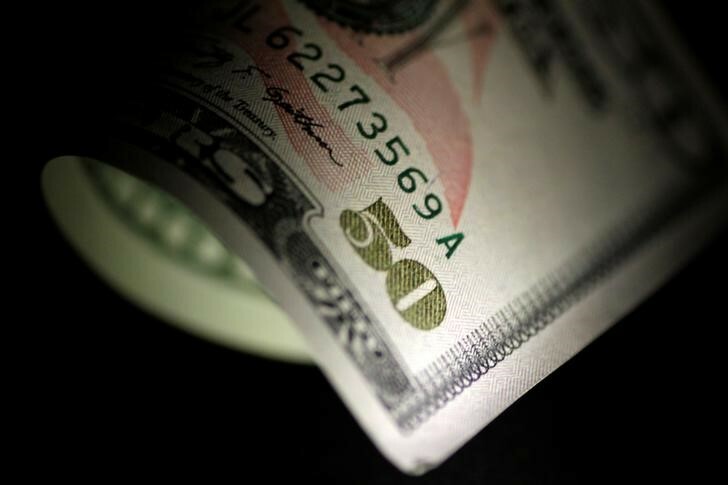 The , which measures the greenback’s strength against a basket of six major currencies, was up 0.38% to 95.43 by 04:01 AM ET (08:01 GMT), the highest level since August 24. Investors remained on edge amid fears over the impact on global growth from U.S. President Donald Trump’s protectionist trade policies. Concerns over an escalation of the trade row between the U.S. and China remained to the fore, as the Trump administration prepared to impose a fresh round of tariffs on Chinese imports, which would escalate the trade row with Beijing. Trump said last week he was ready to implement tariffs on an additional $200 billion worth of imports from China as soon as Thursday. Meanwhile, trade talks with Canada remained at an impasse after stalling on Friday, with of a new deal already negotiated with Mexico. The dollar gained ground against the yen, with rising 0.35% to 111.45. The euro was weaker against the firmer dollar, with down 0.45% to 1.1567. The pound was also pressured lower, with sliding 0.33% to 1.2829 as worries over the prospect of a continued to weigh.. In emerging markets, Turkey’s was pressured lower amid lingering concerns over the country’s economic and currency crisis. Data on Monday showed that Turkish inflation surged to a 15-year high in August, indicating that the steep selloff in the lira is driving up consumer prices. Following the inflation data the country’s central bank indicated that at its meeting later this month, but investors remain wary given Turkish President Tayyip Erdogan’s firm opposition to high interest rates. Deteriorating relations between the U.S. and Ankara and worries about Erdogan’s increasing control over monetary policy and the economy have seen the lira tumble more than 40% this year. Argentina’s also fell, re-approaching record lows against the dollar as the country’s government scrambled to deal with a . Emerging market currencies have been hard hit by concerns that higher U.S. interest rates will pressure countries that have borrowed heavily in dollars in recent years.